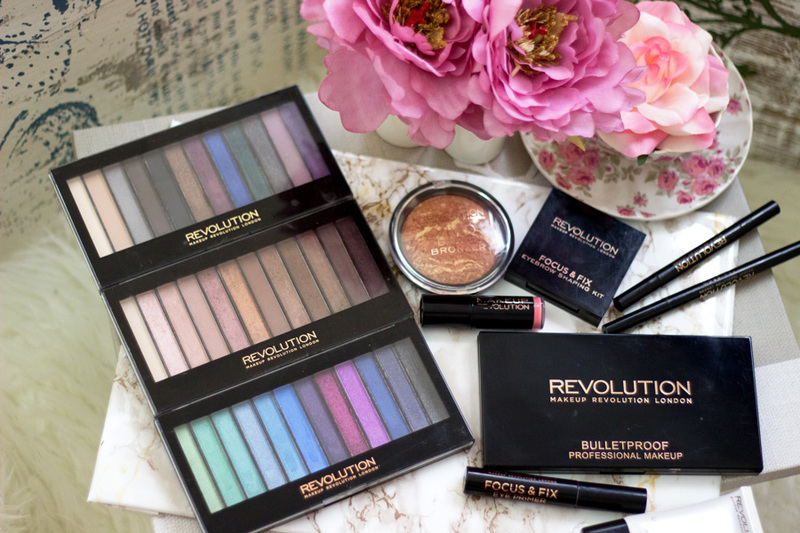 It seems just like yesterday when Makeup Revolution (MUR) launched their brand and released so many beautiful products at affordable prices. I eventually decided to give them a try as I had heard/seen a load of reviews on the blogosphere. I am really impressed with the brand and I mainly admire how innovative they are. I won’t say I am head over heels in love with all their products but I love many of the ones I have chosen. When I was putting together this post, I was surprised at how much of a little collection I had built up without even noticing. I particularly love their packaging which is sturdy and does not feel cheap at all. I usually think affordable makeup have crappy packaging but Makeup Revolution has shown that it does not always have to be that way. 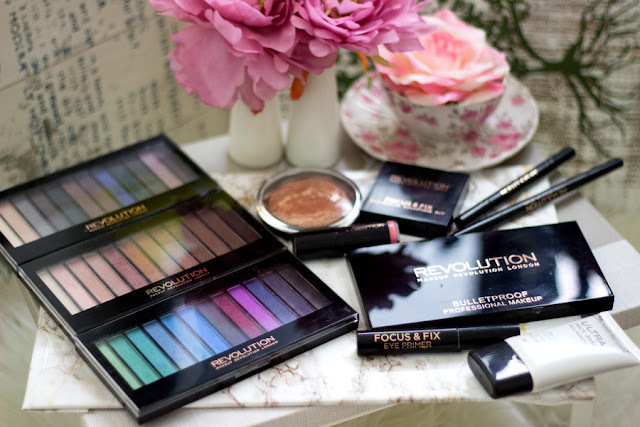 I think one of the best selling products will have to be their eyeshadow palettes. 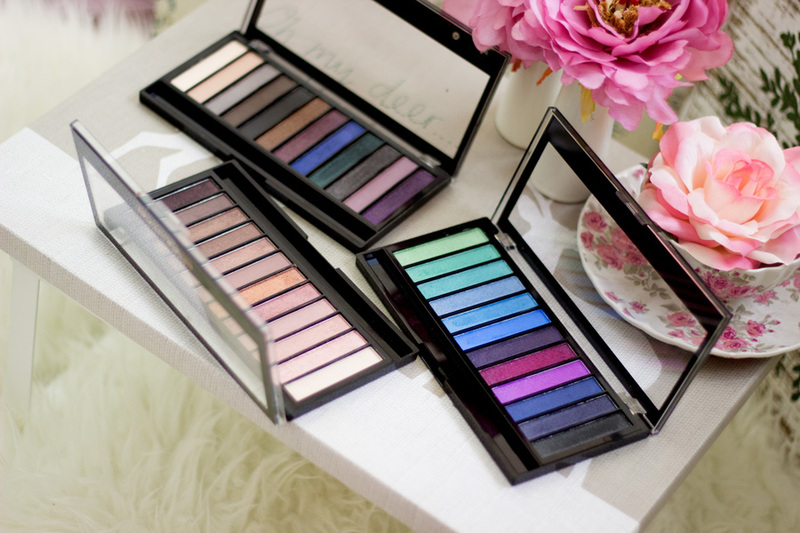 They look incredible and are super affordable starting at £4 per palette. 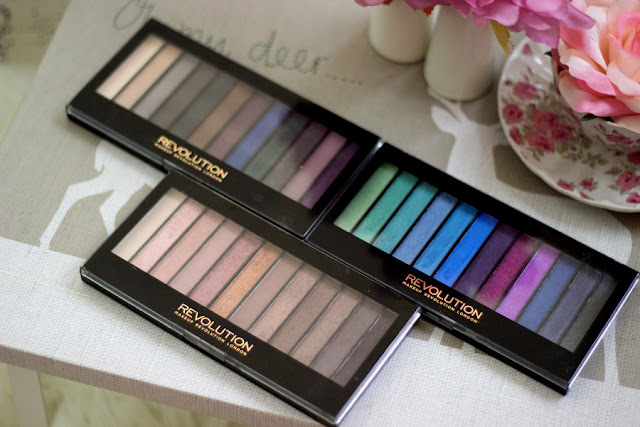 There are some palettes that are slightly more expensive at £8 but they come with a generous collection of eyeshadows that the price seems even too little for the quality and quantity you get. I have three palettes from their range and they are amazing. The texture varies across the palettes but the majority feel buttery. They are also incredibly pigmented which is sometimes difficult to find in many drug store eyeshadows. The first palette I purchased was the Redemption Palette Iconic 3 which is an alleged dupe for Urban Decay’s Naked Palette 3. I don’t own the Naked 3 palette yet but this palette looks similar. Of course, the texture and pigments vary but it is a really good dupe. I think this remains my favourite palette and I still reach for it. I also have the Hot Smoked Palette which is perfect for Autumn and Winter. I love the bold colours in this palette and I am super pleased that the fallouts are quite minimal in this palette. My latest addition is the Mermaids Vs Unicorn Palette which I absolutely love for all seasons particularly Summer/Spring. The only gripe is the fallouts and glitter is a little annoying but using it wet makes it more manageable. 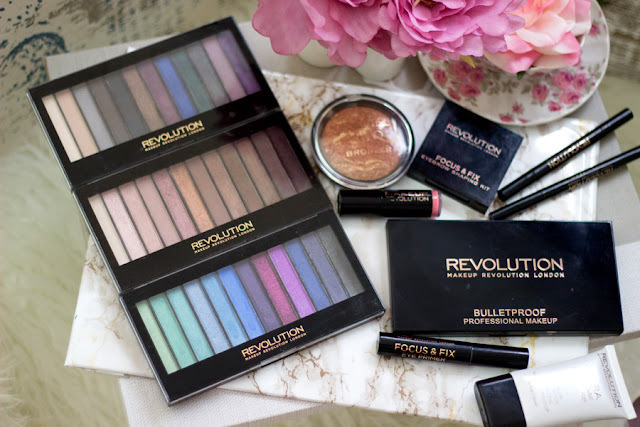 If you are unsure of what to purchase from Makeup Revolution, I suggest starting out with their eyeshadow palettes as they are pretty impressive. I have really enjoyed using the Makeup Revolution Eyebrow Kits because they offer a wide range of shades to choose from. The first brow kit I purchased was the Focus and Fix Brow Kit which looks very similar to the MUA Brow Kit. I actually used this for a really long time because I enjoyed the dark brown shade with hints of grey. 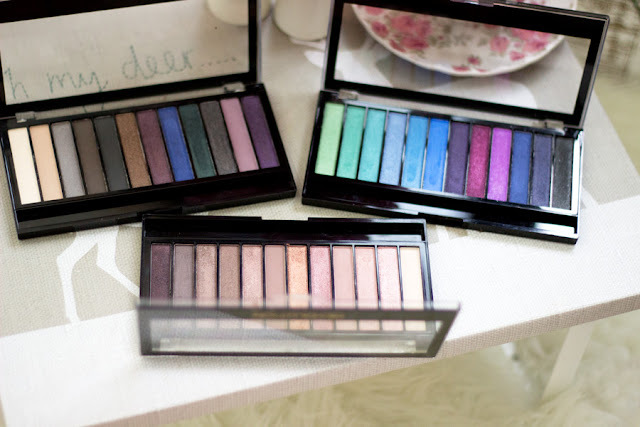 They also double as eyeshadows as well although they have some fallouts which may be difficult to work with. 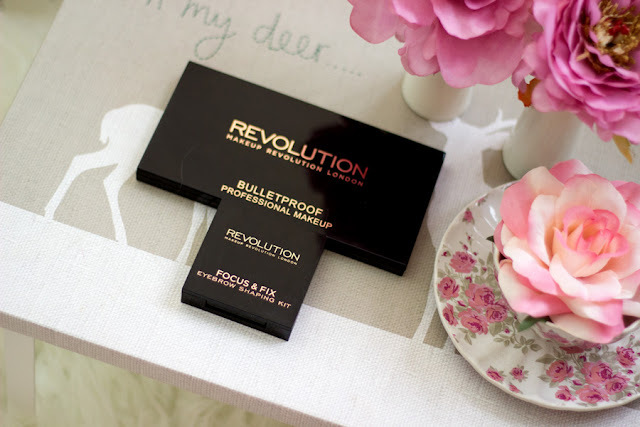 My absolute favourite is the Bullet Proof Eyebrow Palette which is so amazing. I love this brow kit (although a little large) because it is ideal for creating your own bespoke brow colour as there is a wide range of colours to choose from. I love that it offers brow gels, waxes, a pencil and even highlighters (although I don’t use this one). 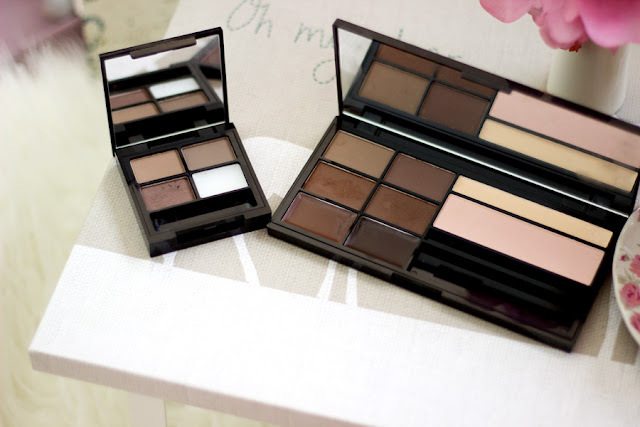 If you are a Makeup Artist, you would really enjoy using this palette for a variety of clients. 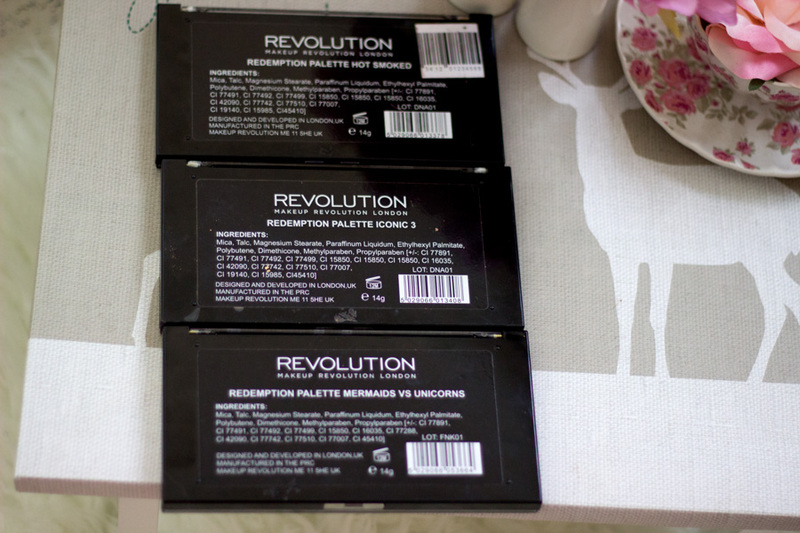 I am really impressed with how Makeup Revolution try to cater to a variety of skin tones. This is one product that I was not blown away with. 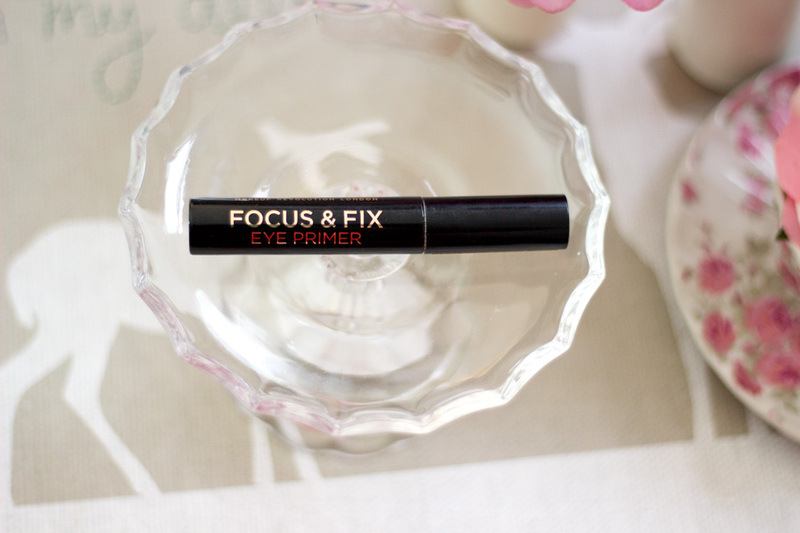 I have tried a good amount of eyeshadow primers so it is really difficult for me to be impressed with any. I don't think it particularly stands out as a special eyeshadow primer and sometimes my eyeshadows crease. However, it works well with the MUR eyeshadow palettes. It helps increase their longevity and aids their application. I like the doe-foot applicator and the cute packaging. It’s not one I reach for very often but I use it in addition to other eyeshadow primers. I have to mention it does not crease at all which is always a good thing. I saw this in-store one day and I was so surprised that I had not read any reviews lately on it. It basically has two ends; one for creating a thin cat eye flick and the other for a thicker flick. I really like the concept of this eyeliner. 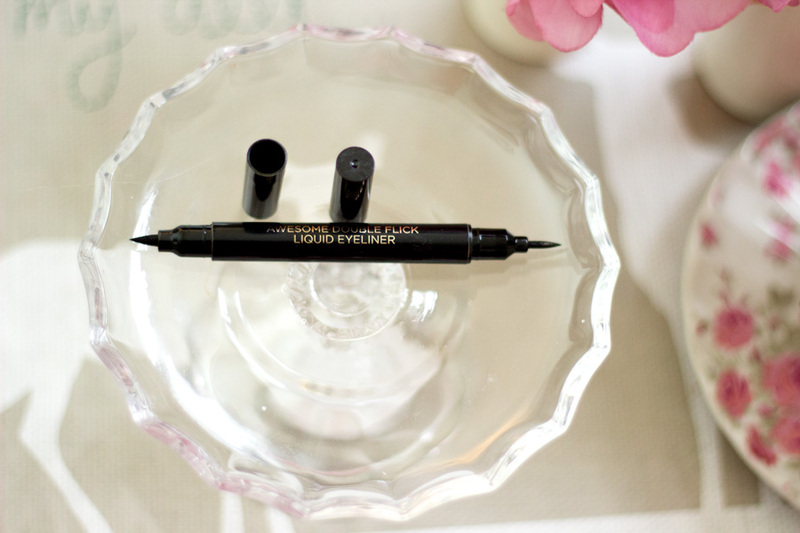 I still have mad love for my L’oreal eyeliners and I have not used anything that beats them. However, I think it is still a great eyeliner and it applies well. 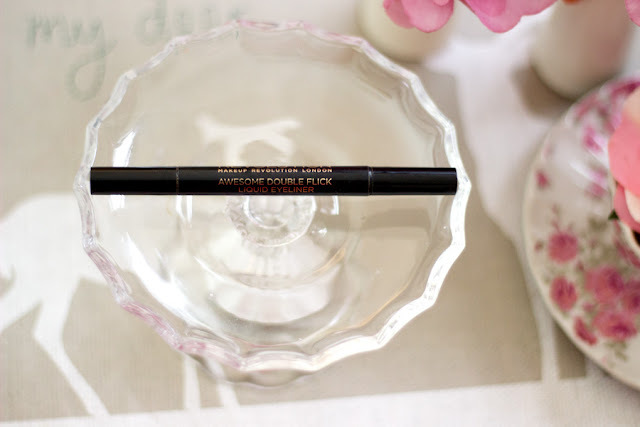 It is quite an intense black colour but I don’t think it lasts as long as other eyeliners I have tried. 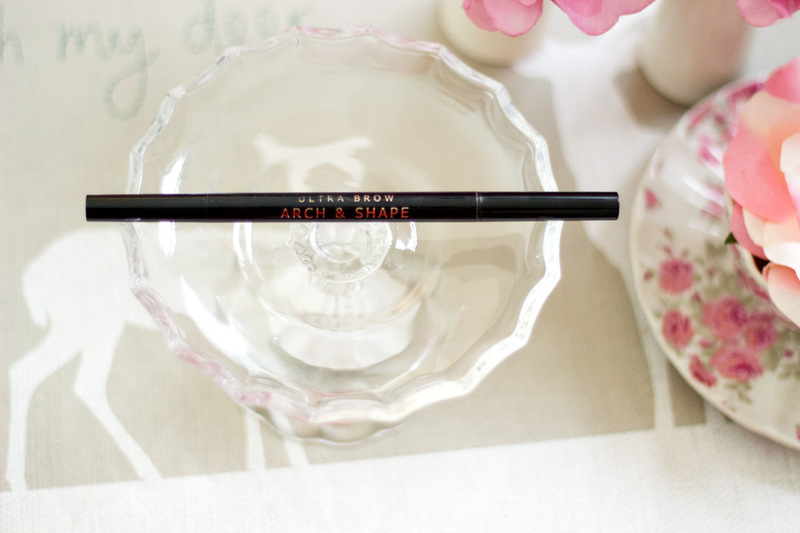 For the price and the design, I think it’s a really good eyeliner to have in your collection especially if you want one that is versatile. I think this was my latest purchase from the drug store. I actually tried to track it down many times but it was always sold out and my shade dark was almost impossible to track down in-store. 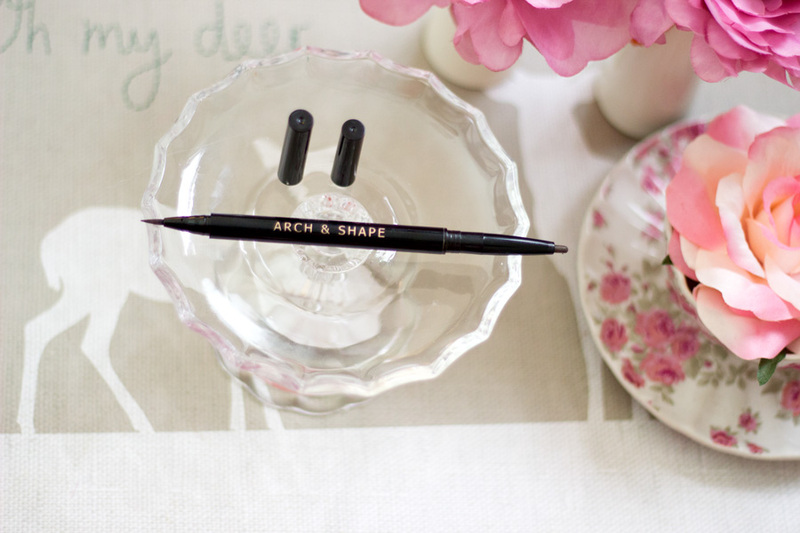 It is essentially an eyebrow pencil with two sides (quite similar to the Soap and Glory Archery Pencil). It has a pencil side and a felt tip end to fill in light strokes to mimic real hairs. I like the pencil side as there is no need to sharpen it however I wish it was a little smaller and pointier to enable a more precise application. I like to outline my eyebrows first with short light strokes before I fill in the hairs with a brow gel. This pencil is not as precise as the Soap and Glory Brow Filling Pencil (dupe for the Anastasia Brow Wiz). However, the felt tip end is amazing. It mimics my actual eyebrow hairs and it looks so natural and no one can tell unless they are up close and personal in your face. I am really impressed with this and it is one I recommend. I honestly cannot remember the name of this lipstick for the life of me. 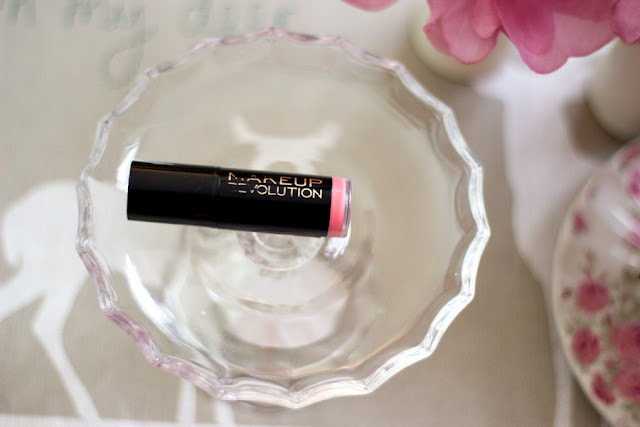 It's not one of my favourite lipsticks/MUR product. I like the packaging although it reminds me so much of the MUA lipsticks. It's super cheap at £1 but I am not sure I chose the right colour at all. 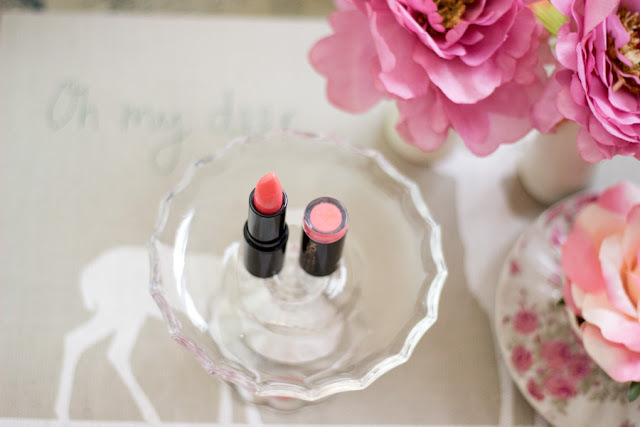 I am not a big fan of the texture or lasting power and I can count how many times I have used this lipstick. However, I heard their MUR Lipstick Hugs are much better so maybe I will try those at some point. This is one of the few products I have mixed feelings about. It is meant to work as a foundation base or a tinted foundation. I feel if you have good and clear skin with minimal blemishes, you can get away with wearing this alone. 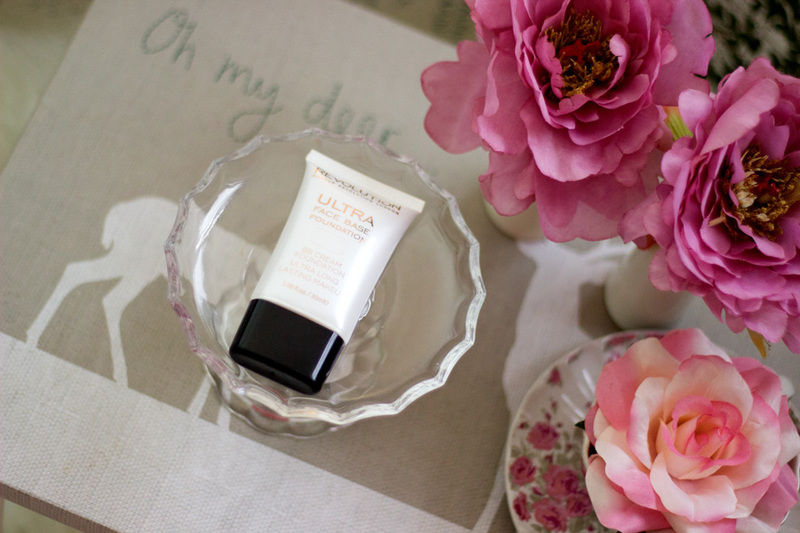 It feels like a BB cream but I find that I don’t get any coverage at all with this. It has a good texture and feels nice when applied but it does not do much for me. I have read a few reviews where people enjoyed this product so don’t be put off by my opinion but that’s just my personal experience. However, I still mix it in with some foundations that are too light. 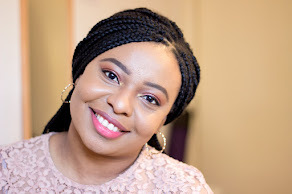 For example, my Dior Star Skin Foundation is a little beigey for my complexion and this foundation base helps to add some warmth to the final colour and it blends better. I think it’s a good product but it did not work for me as I wanted it to. I think this is my favourite and best MUR product because it is amazingly pigmented. It is so beautiful on application and it has never let me down. 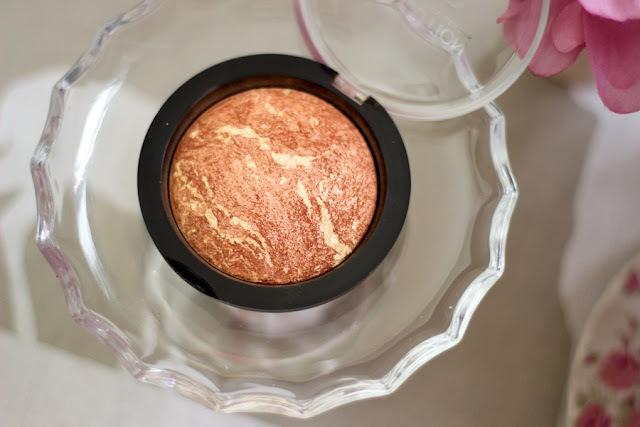 It is designed as a bronzer and highlighter and the fact that it is baked makes it unique. 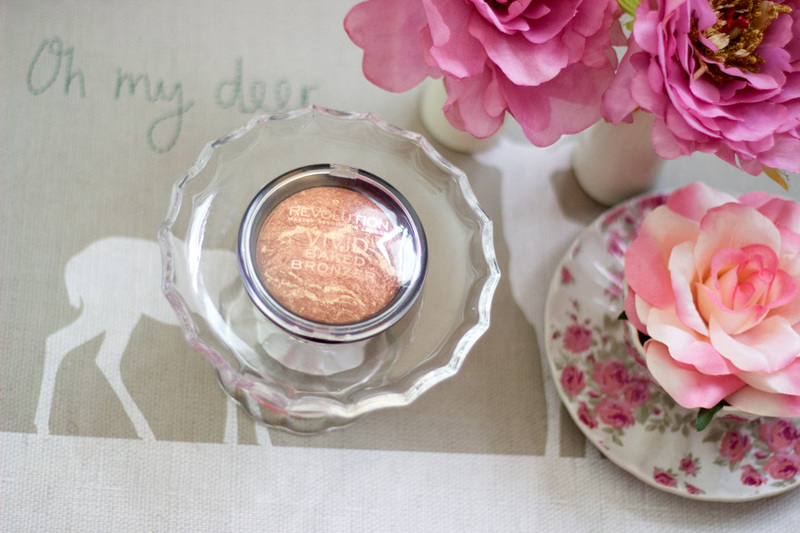 I use this to add a glow to my makeup especially now that we are in Spring/Summer. 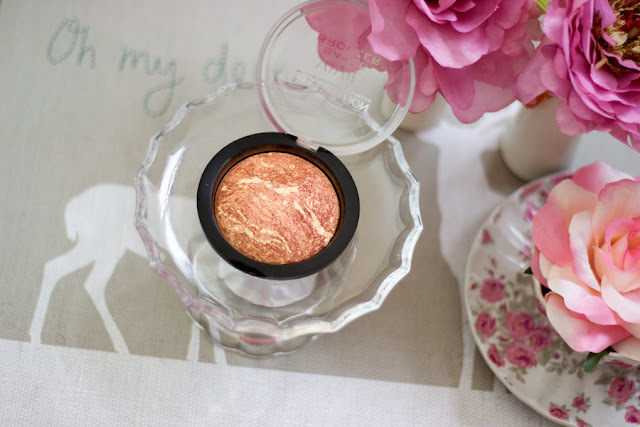 It is very pigmented as mentioned so I always go in with a very light hand. I just can’t rave about this enough and I always reach for it. At the price of £4, you can’t go wrong at all. There are also a variety of shades within this range so there is something for everyone. *Affiliate Links used above, read my full disclaimer here.